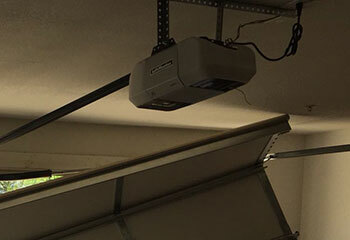 When you need a new garage door opener or to have spring or a cable replaced, we are definitely the company to call! All our work is a 100% guaranteed to meet your complete satisfaction. 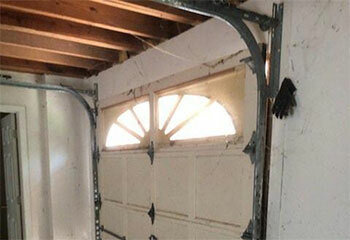 You will not be disappointed with the high quality of our repair and installation services. Read about some of our latest projects for examples of what we can do for you. 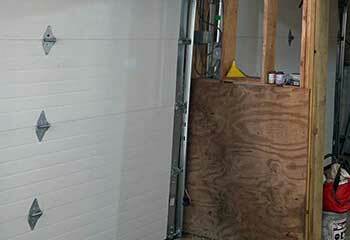 Customer Issue: Mrs. Buchanan’s garage door refused to close after being opened. Our Solution: The team checked the sensor eyes, but found no alignment problems. Next they looked at the controls, and found nothing wrong. Next, the wire connections, which revealed a frayed cord connecting the opener and sensors. Replacing it solved the problem. 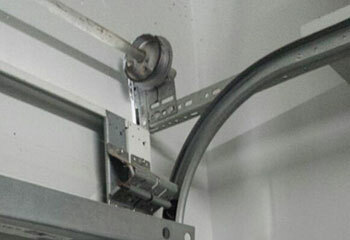 Our Solution: Before removing the damaged unit, we checked its counterpart to see if it too needed to be replaced. It did, so we carefully removed both and replaced them with a new pair of cables that matched the size and weight of the door. Our Solution: We checked all the sections of the tracks and found they a lot of parts had rusted and were damaged. We discussed this with the customer and he decided to replace the entire arrangement. We carefully set the door down and removed the damaged parts. Then we installed the new tracks made sure they were completely aligned with the door and operated the system several times to make sure it was moving safely and smoothly. Customer Issue: Wanted a new opener. Our Solution: Seeing as the house was new and of a superior quality, we recommended the Chamberlain B970, which has been voted the best garage door belt drive opener model of 2018. Its motor is very powerful, and the unit features a battery backup system and Wi-Fi connectivity.